The Cuban style of cooking is known as comidas criollas, or creole food. It is a combination of tropical and European styles with occasional Chinese and Indian influences. The most common flavors used in cooking are cumin, garlic, bay leaves, peppers and onion. Sofrito, a sauteed combination of onions, tomatoes, pepper, garlic, herbs and spices, is used as the base for many Cuban dishes. Likewise, the creole garlic sauce known as mojo, is widely used. It contains a lot of garlic, as well as sour orange juice (from Seville oranges that grow throughout Cuba), which, if not available, can be replicated by adding lime juice to regular orange juice. Mojo is often used as a dipping sauce, but also as a marinade for meats. Common Cuban dishes include Cuban Black Bean Soup. Black beans, in fact, are generally a part of any Cuban meal. Side dishes include plantains prepared any number of ways. Tostones are fried once, flattened, and then refried until crispy. Maduros are riper and sweeter and fried only once. Plantains are also made into chips, or mariquitas, and served with mojo as a dipping sauce. 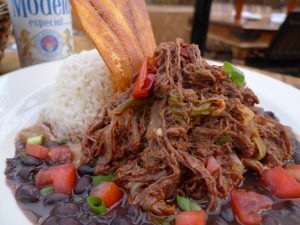 Ropa vieja, a shredded beef stew, seems to be considered the Cuban national dish. It means ‘old clothes’ in English. 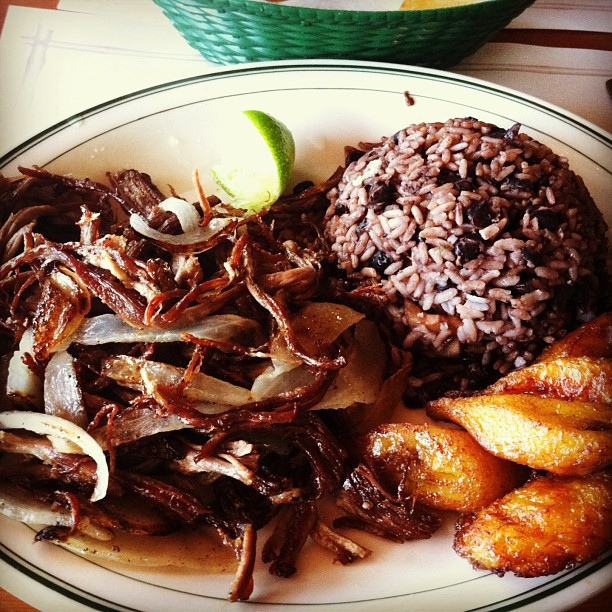 Another delicious dish that sounds better in Spanish is vaca frita, or ‘fried cow’. It is marinated in sour orange, then fried until crisp. 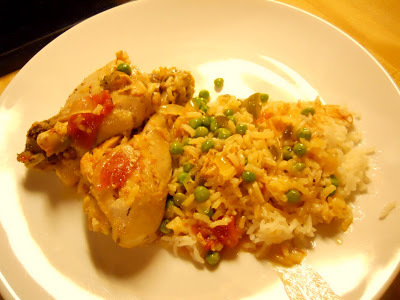 Chicken and rice is a very common dish as well as roast pork. Rice is a common accompaniment, along with black beans. The root vegetable yuca is also boiled, fried or made into croquettes as a side dish. 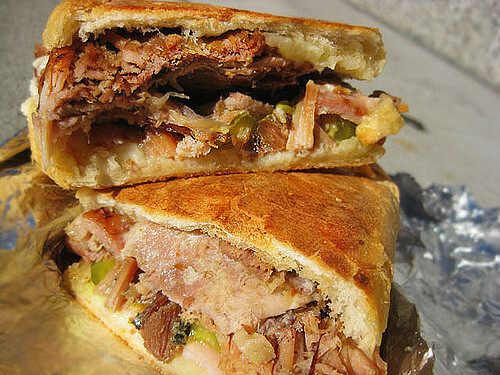 The Cuban sandwich has become a popular item globally. There seems to be a debate as to whether it originated in Cuba or among the Cuban population of Florida. Some say that it was the food served as lunch to workers in the cigar factories of Havana. Others maintain that it was created and served in cafes serving Cuban immigrants in Key West and Tampa. A pressed sandwich, it usually is made from Cuban or French bread, spread with butter and mustard, then filled with Swiss cheese, ham, roasted pork, either turkey or salami, and pickle slices. Savory or sweet flaky Cuban pastries known as pasteles or pastelitos are a popular snack and can be enjoyed with Cuban coffee, or Café Cubano, a strong, dark type of espresso. It is usually sweetened during the brewing process by adding a small amount of the coffee when it first starts brewing to sugar, beating it, then adding the rest of the coffee. This creates a creamy layer of sugar foam on the coffee. 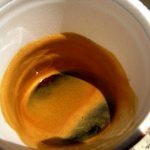 It is really the method that makes it Cuban, rather than the coffee itself, but Café Bustelo espresso is the most commonly used brand. Other popular desserts include flan and rice pudding. 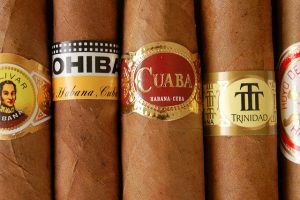 Havana is the birthplace of premium cigars. For many, a visit to a cigar factory will be on the agenda. Things change often in Cuba, but at least 3 of the large cigar factories are open to the public. They are the Romeo y Julieta/H. Upmann factory which produces many of the most popular cigar brands and was recently renovated, the La Corona, one of the largest, and the Partagás, which is the oldest and best known factory. 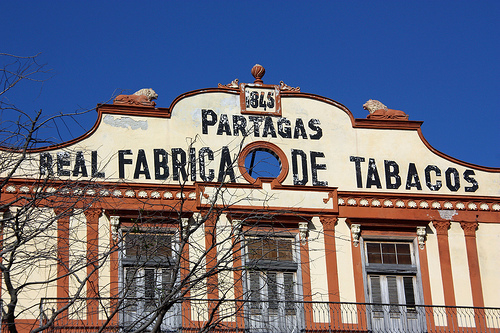 The beautiful original Partagás building, however, is no longer where the cigars are made. It does have a cigar shop, however. The factory is now in the former El Rey del Mundo factory which welcomes visitors for a 30 minute tour and features a VIP lounge offering huge selection of cigars, as well as rum and coffee. Rum, ron, in Spanish, is another product that Cuba is well known for. 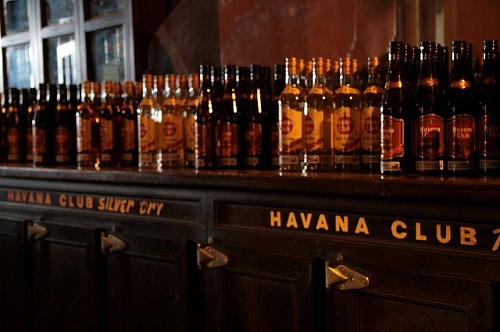 The most popular brand is Havana Club, which comes in 8 varieties, aged from 3-15 years. Like Cuban cigars, Cuban rum is not available in the USA at this time. However, that does not mean that Cuban style rum is not available. For many years now, there has been a dispute between Bacardi, now producing in Puerto Rico, but who originally were located in Cuba, and Havana Club made in Cuba and part owned by Pernod Ricard. 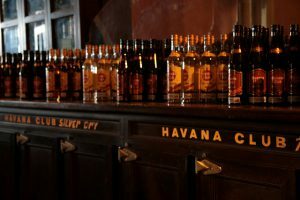 Bacardi claims to have legal rights to the original formula and has started producing rums with the name Havana Club. It has been a bitter battle between the two producers for rights to the trademark. Last year, the U.S. Patent and Trademark Office ruled in favor of Cuba, but the fight is far from over. Other brands of Cuban rum are the award winning Cubay, which was first exported in 2010, the hard to find Santiago de Cuba (The best place to find it would be in the city of the same name), and Santero. And now for some rum drinks. The word Daiquiri is a Taíno word and is also the name of a beach near Santiago de Cuba. The drink was invented by an American iron miner named Jennings Cox while he was in Cuba. His original recipe used lemons, but as the drink became popular, limes became the standard. Easy to make, the drink consists only of 3 ingredients – white rum, lime juice and simple syrup. 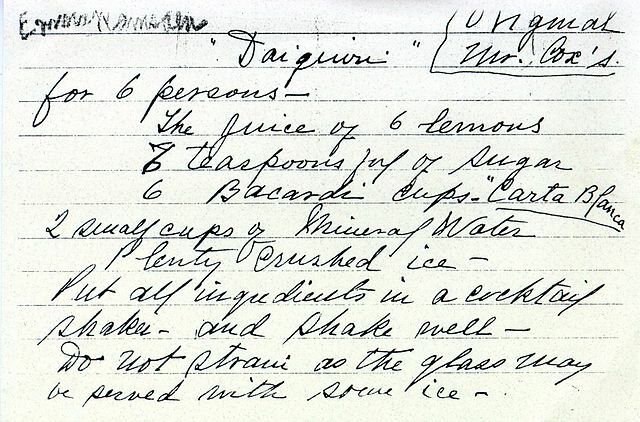 Ernest Hemingway contributed to the popularity of the Daiquiri in writings such as the biographical A Moveable Feast. He also has a variation named after him that adds grapefruit juice and maraschino liqueur. In Havana, the most famous place to go for Daiquiris, is of course, Hemingway’s haunt, El Floridita. The mojito was born in Havana. There are also various accounts of its origin. It may have been concocted as a remedy for scurvy for Francis Drake’s sick crew way back in 1586. We do know, however, that this drink was also popularized by Ernest Hemingway, who would retreat to the Bodeguita del Medio to enjoy this delicious combination of muddled mint, lime, sugar, white rum and soda water. And finally, we have my creation of the month which is the Malecón. 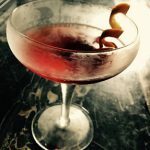 Loosely resembling a Boulevardier cocktail, I use aged rum, Aperol and sherry. Stir all ingredients together with ice, strain and pour into a cocktail glass. Garnish with orange twist.